It needs a stroke of genius to soften the heart for poor old Recep Tayyip Erdogan. Those of us who have always believed that Erdogan is a bit off his rocker must still be appalled that a US president infinitely more cracked than the Turkish variety is trying to impoverish Nato’s second largest military ally. True, Erdogan locked up 50,000 Turks – including an American pastor, of whom more later – after the attempted coup against him two years ago, but hasn’t Egypt’s president/field marshal Abdel Fattah al-Sisi broken this record by banging up 60,000 supposed Islamists in his own country’s prisons? And what about Haider al-Abadi’s mass hangings in Iraq? Or that nasty little post-death crucifixion in Saudi Arabia this week, not to mention that horrid war in Yemen where kids seem to get killed all the time? Or the Israeli habit of shooting down scores of unarmed Palestinians in Gaza? Or that chump in North Korea who appeals to Trump’s sense of humour? If Erdogan’s family name means “brave falcon” in English, the Sultan of Istanbul has certainly had his wings clipped. Or so we are supposed to believe. Trump, who doesn’t give a toss how many innocents are incarcerated or destroyed in the world, is suddenly trying to neuter Turkey – and all because Pastor Andrew Brunson remains under house arrest there for allegedly supporting the coup plot allegedly organised by Erdogan’s former colleague, the allegedly mesmeric imam Mohamed Fethullah Gulen, currently residing in Trump’s own country. I don’t believe a word of it. Trump made little fuss about Brunson’s captivity for many months. It took him almost a year and a half to get into a tantrum about the good Christian family man and missionary in Izmir whose chief characteristics appear to be nothing but wholesome: barbecues, picnics, swimming, movies and board games in the evenings. To quote his sister, “the typical American family, though living so far away”. American evangelical Christians were outraged at the arrest of this Godly man – Christianity was on trial, of course – and their favourite president finally tweeted that “this innocent man of faith should be released immediately”. And so it came to pass that Trump’s wrath was visited upon by the Muslim president who locked up a man who was only doing God’s work in the comfortable coastal city of Izmir. Double US tariffs on steel and aluminium helped crash the Turkish lira, which has lost 45pc of its value this year, although Erdogan might also be blamed for his refusal to raise interest rates against inflation. But let’s be sane. Is all this because of a Presbyterian pastor? No. Here’s the real list of Erdogan’s crimes. He is buying the Russian S-400 missile system for Turkey. He refuses to accept US support for America’s Kurdish YPG allies. He allowed Islamist fighters to pour over Turkey’s border into Syria with a lot of weapons, mortars and missiles – to which Washington had no objections at the time since the US was trying to knock Erdogan’s former friend, Bashar al-Assad, off his perch. Then, after shooting down a Russian aircraft along the Syrian border in November 2015, for which he was immediately boycotted by Moscow, Erdogan cuddled up to Putin. It was thus the Russians and the Iranians who first warned Erdogan of the impending “Gulen coup” against him in July 2016. They had been listening to the Turkish military’s internal radio traffic. 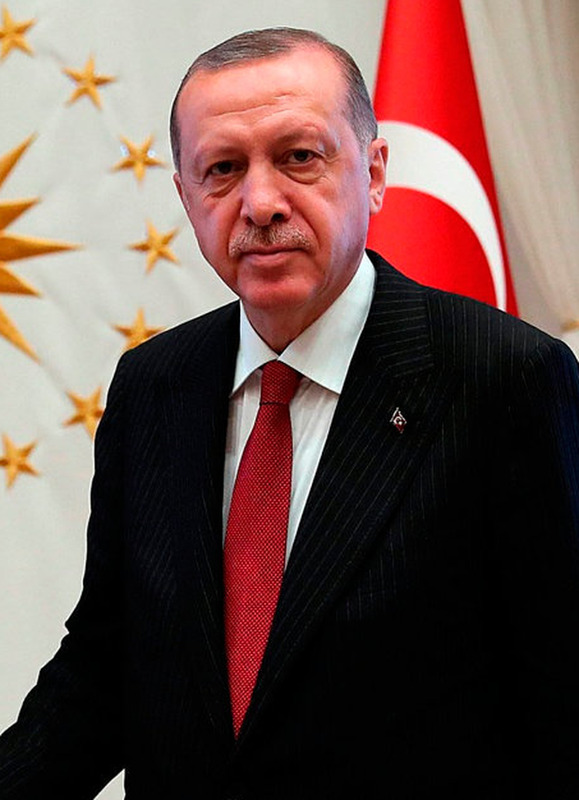 Now Erdogan is helping Iran dodge US sanctions imposed after Trump flagrantly tore up the 2015 nuclear agreement, and – in a decision demonstrating the cowardly response of the EU’s own oil conglomerates to Trump’s insanity – has announced he will continue to import Iranian oil. Thus will Washington’s further threat of increased oil sanctions against Iran be blunted. Sunni Saudi Arabia, one of Trump’s closest allies – where religious freedom for the likes of Pastor Brunson has never existed – is already furious with Erdogan. Not long ago, Crown Prince Mohammed bin Salman denounced Turkey as part of a “triangle of evil”, the other bits being Shiite Iran and militant Islamists. So you can see how things are lining up in the Middle East right now. Erdogan has made good friends out of Putin and Iran’s supreme leader, and as an opponent of Saudi Arabia, is naturally on the best of terms with Qatar, whose emir – in a miraculous moment which even Pastor Brunson might envy – has just promised an investment of $15bn (€13bn) to Turkey. Saudi Arabia’s siege of Qatar is beginning to look as miserable as its war against the Shiites of Yemen. Turkish troops are stationed in Qatar to “protect” the little emirate against its larger and threatening neighbour – and we all know who that is. And, since Syrian and Qatari relations are steadily being reheated – albeit on the minutest scale – I wonder who will benefit the most. Bashar al-Assad, perhaps? Russian troops are now patrolling the Syrian-Israeli lines below the occupied Golan Heights. The Russians have promised Israel that the comparatively few Iranian forces in Syria will be kept at least 80km from this sector. Russia’s ally Syria needs to crush the final Islamist stronghold in Idlib with Russia’s help and push the province’s most intransigent fighters back into Turkey. Qatar has the cash to rebuild Syria and thus extend its influence across the Levant to the Mediterranean.If Qatar is going to pour even more billions into Turkey, then we may see some kind of alliance between Doha and Ankara. And a rediscovery of the family friendship between Erdogan and Assad?